Being able to diagnose the technical issues in your car before they show up is priceless. 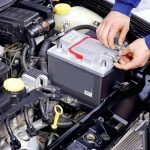 Even if you regularly take your car to the service center for a check-up, you’ll probably agree that it is always a good idea to have an instrument that will allow detecting potential breakdown before it happens. The onboard diagnostic scanner is a smart device that can help you to point out an exact cause of the problem without leaving your garage. 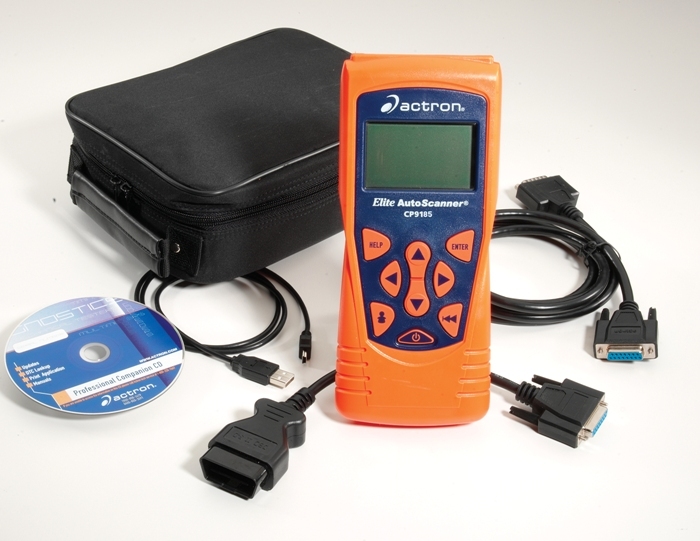 The contemporary tools are equipped with the Onboard Diagnostics 2(OBD-2) system. This is an onboard computer that is installed in the vehicle to perform a self-diagnostics and report the findings. All OBD2 readers that you will find in the market are divided into the two basic categories: code readers and scan tools. 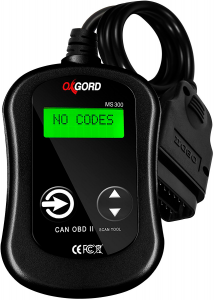 The code readers are the basic scanning devices that can read and interpret the codes from the OBD2 equipped vehicles. The code readers are not very expensive, but they have limited functionality. Namely, they do not obtain any info about manufacturer-specific codes, and they typically have a restricted or no access to any data other than the inbuilt one. The scan tools are more advanced and thus more expensive than the code readers. Such tools have many useful functions. For example, they can access the manufacturer-specific codes and extract not only recorded but also live data. With the scan tools, you can detect the problem and get the troubleshooting recommendations in the comfort of your garage. Naturally, such devices are quite pricey. What type of scanner do you need? What functionality do you expect from the scanner? Are you planning to upgrade it in the future? What brand would you prefer? Is the model that you like compatible with your vehicle? The answers will help you to pick the best OBD2 scanner for your car. This model may not be the best on the market, but for such a low price, it is as good as the scanner can get. Its design is straightforward; there are two buttons for navigation and a LED display. The device is able to detect the issues on the most US located vehicles that were manufactured after 1996. 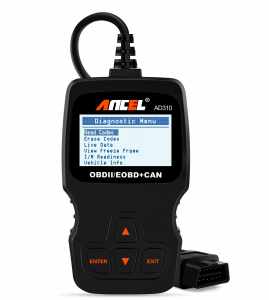 The OBD2 scanner can read and clear most of the generic and manufacturer codes as its database includes more than 3000 error messages. You should not expect too much from this scanner. It will not give you a complete explanation of why the “Check Engine” light is on. You will only be able to see a code on the device screen, so you’ll need to look it up on the computer or smartphone. This ODB2 provides the basic functionality, but it is doubtful that you’ll find more for $13. This Autel model is very good for simple read and reset. This affordable scanner works on the most vehicles, and it will be a great help for those car owners who prefer home maintenance and DIY repairs to the expensive service center visits. However, it will not fix anything really complicated. This tool can easily detect what are the causes of the “Check Engine” light and quickly retrieve vehicle information. It also supports the Controller Area Network and all the current OBD2 protocols. This scanner can show you what manufacturer specific and current generic codes have been triggered and what codes are pending. Most importantly, it can reset the codes, which is the option that is sometimes not available in the code readers. But remember that resetting the codes will not help your car pass inspection. The device is back-lit, which is another extra benefit. Overall, this scanner is very well assembled, and it can save you a lot of money and time. Similarly to many other affordable scanning tools, this model is compatible with most US vehicles. It also has a pretty extensive protocol coverage, so it will be able to help you fix many simple issues without taking your car to the mechanics. This scanner is a cost-effective solution since it can retrieve a similar amount of data as many expensive devices. However, it is unable to detect and troubleshoot the issues connected to the airbag, tpms, abs, etc. If you are looking for the basic inspection tool to keep the car in good shape, this might be the right choice. The greatest benefit of this model is that it works without any internal cells (batteries). Hence, the device will not die because of the expired battery. Also, this is a stand-alone unit, so you do not need a smartphone or laptop to operate. Yet, a new user might get confused because the menu is somewhat baffling. If you are looking for an affordable and efficient device, this scanner is the best choice. It has the five basic features, which is a necessary minimum required to determine and troubleshoot most problems with the vehicle. 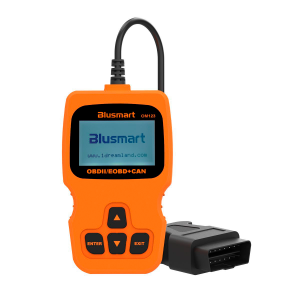 Blusmart is an absolute favorite of many drivers because it is compact and responsive. In addition, this model has a well-readable screen, which is also very important. During the first check-up, there is no need to select the model and year of the vehicle because the auto code scanner detects this info automatically. You can start scanning immediately after connecting the device to the vehicle. Once the code is obtained, the device can look it up online and help you decide whether you need to go to the service center. The Live Data provides you with the real-time info gathered with the help of many sensors. One small drawback of this scanner is that it can solve the engine issues only and it will not help you deal with the airbag problem. The scanner is very much similar to the AL519 model. 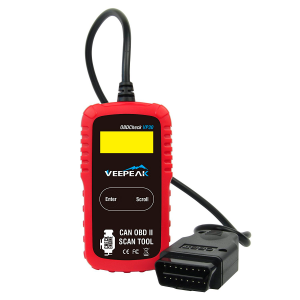 It can read most of the vehicles that support OBD2, determine the code and its meaning, as well as clear it afterward. On the whole, this device is a very functional and affordable instrument that provides everything that an average user needs. 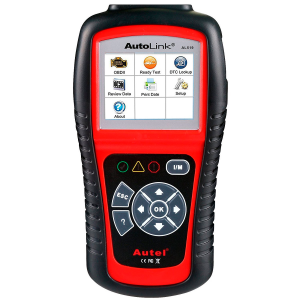 Similar to the AL519 model, Autel AL319 also has a One-Click I/M Readiness Key that simplifies the drive cycle verification and State Emissions readiness check. 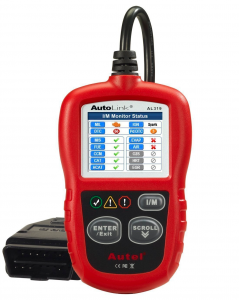 If you have the OBD2 cable, you can make you Autel scan issues without any chargers or batteries because the device is able to get the power straight from the inbuilt OBDII Data Link Connector. The users also single out the fact that this device has a LED screen. This is a pretty useful feature, which is often absent even in the expensive devices. This scan tool is one of the best affordable ODB2 devices available on the market. It has a bright and legible display and self-explanatory controls, so even if this is the first time you use the device, you shouldn’t have any trouble with the use. Once you unzip the case, you’ll see that the quality of this product is obvious. The scanner is able to read, record, and play back all the live sensor data that is retrieved. The peculiarity of this model is a patented one-click I/M readiness key that ensures a drive cycle verification and a speedy state emission readiness check. Among other functions, this Autel device retrieves not only vehicle information, but also generic, manufacturer-specific, and pending codes. Given that the compact unit is portable, you can take the scanner with you to almost anywhere. This is a fast-performing scanner with a classic design. It is also a top-notch trouble code reader that works on most 2000 EU-based, 1996 US-based, and Asian vehicles. In spite of this, the scanner supports multiple languages: English, French, Spanish, German, Finnish, Russian, Portuguese, and Dutch. This model is very easy to use, so even if you are not familiar with such device, you will not have any comprehension problems while diagnosing your car. 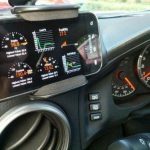 The device can perform the I/M monitor readiness test, check the cause of engine light, and view the freeze frame data. Also, the scanner can read hard, pending, and historic codes, as well as to display the findings. The scanned has a user-friendly interface and convenient construction. It is furnished with the Up and Down button for scrolling the menu, and Enter/Exit buttons for navigation. There is also a 2.5 feet long cable, which is made of a flexible and thick insulator. Overall, ANCEL is very practical and efficient device with the three years warranty. Works on MOST 1996 US-Based, 2000 EU-Based and Asian cars, and newer OBD II ; CAN domestic or import vehicles. Supports English, German, French, Spanish, Finnish, Dutch, Russian and Portuguese. Classic design, fast scan and clear trouble codes, even a beginner can use this unit to read the error code, find out what the problem is and perhaps fix it. Save money and time. As you can see, some of the scanners are blue-chip while the others are basic. No matter what device you’ll prefer, it will be a great addition to your troubleshooting kit.